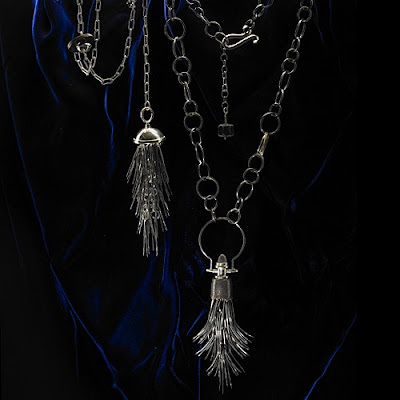 The only thing I might love even more than handbags would be jewellery. All kinds of jewellery, but mostly rings. And there is so much out there right now that I'm totally loving. 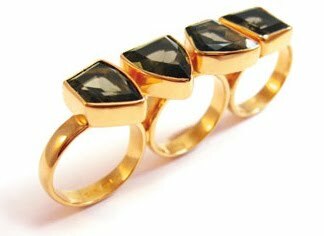 Like this Bombe ring by Astley Clarke's AC Silhouettes line. It's perfect for this Autumn/Winter's minimalist looks. 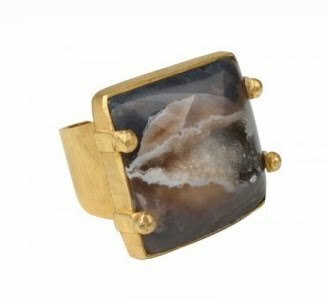 This druzy quartz ring by Erika Pena at EC One is perfect if you want to tap into that 'wild in the country look' that you'll be seeing everywhere. I can just picture this with tweeds, chunky knits and shearling. 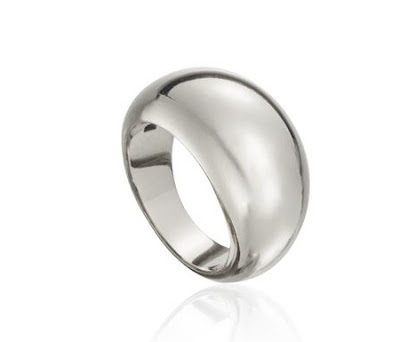 With rings, as far as I'm concerned, the bigger the better. 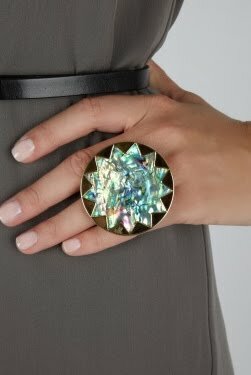 And it doesn't get much bigger than this abalone ring by House of Harlow at My-Wardrobe. 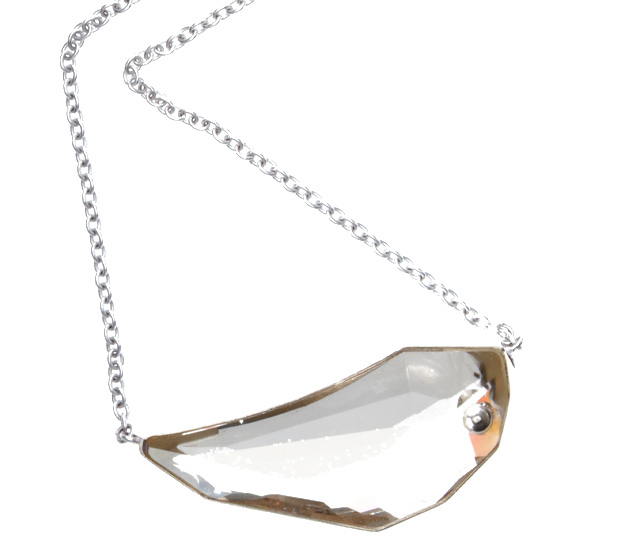 This necklace and ring from ASOS, part of their new ASOS WHITE line scream - no, elegantly suggest - minimalist chic. I just love that big chunky crystal. There's nothing minimalist about this St Tropez knuckle duster by Katie Rowland at Liberty. It's just pure glamour - wouldn't it look amazing on a hand holding a martini glass? 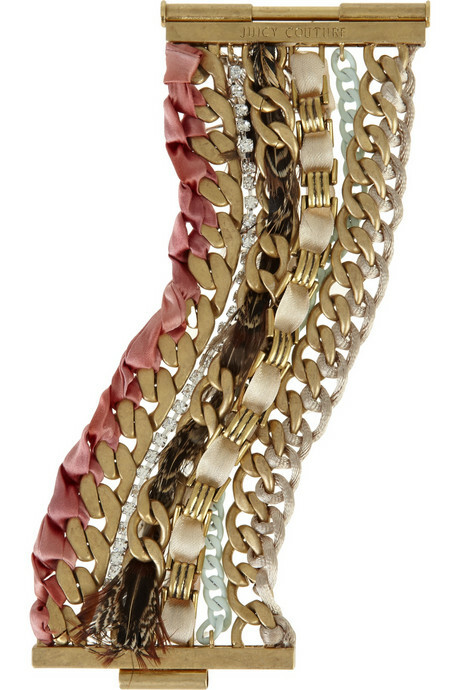 While Net-a-Porter have styled this Modern Nostalgia bracelet by Juicy Couture with a military/utility look, it strikes me as a very lady-like looking piece that would look just as good with a pencil skirt and silk blouse. If you're looking for something a bit tougher, this Vicious pendent by Glasgow based designer Beardiebloke (that's his Etsy moniker) would fit the bill. Beardiebloke has painstakingly soldered together dozens of sewing machine needles from an abandoned sweatshop in Clydebank. Who knew industrial waste could be so fabulous?